A great storage solution for both school and home from Pink Petunias. 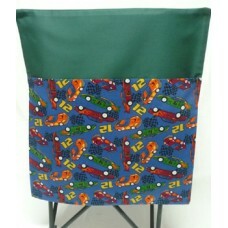 Featuring racing cars on a bottle green bag which has been made from very durable 100% cotton fabric. This bag is fully lined which makes it very strong. Machine washable in cold water. Designed to fit straight backed school chairs in 3 sizes. Design: Racing Cars on Bottle Green. Pattern placement may vary. Large: Grade 2 and up. - Fits up to a 45 cm wide chair. A popular choice for any little boy is a pirate library,toy or sheet bag. Large enough to hold..
How many kids play soccer? 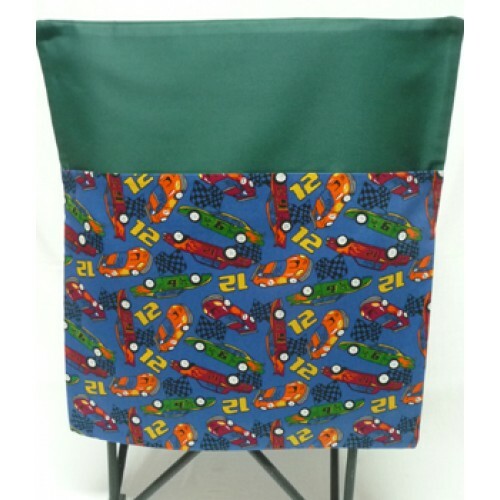 This chair bag is great for both girls and boys who love the game of foot..
What a great school chairbag for that boy or girl who adores super hero comic books. Perfect to add ..